The kit was fairly easy to use. My speakers were badly deteriorated but the video showed me how to clean them up. The speakers now work very well. ESS speaker foam repair kit (10") worked exactly as advertised. I have the first AMT-1's when they first came out. Had them repaired once, decided to do it myself this time. Take your time and the results are great! Next I will replace the tweeter elements. Well worth the money. 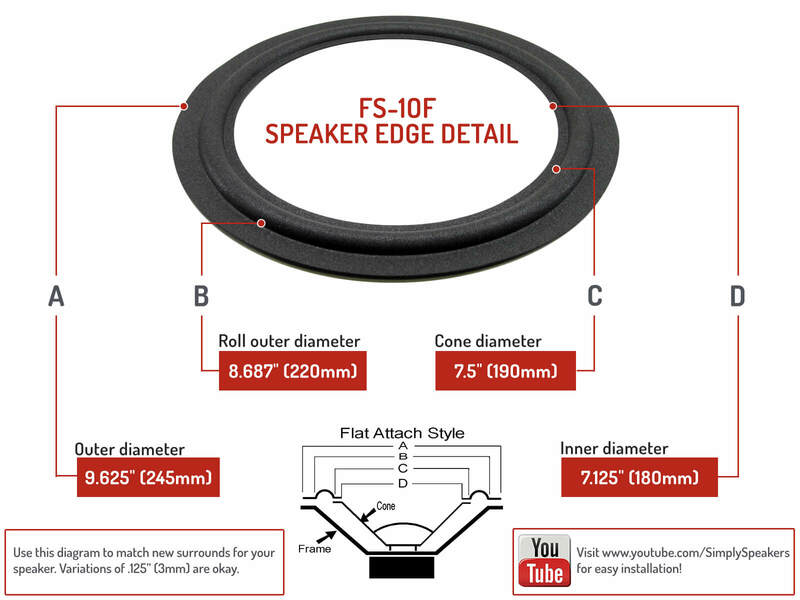 Speaker foam has been installed and is working perfectly. You need to use a 1/8" bead or work very quickly as the glue sets up in short time. This is a simple project than anyone can handle. However, if you live in a cold climate, don't buy the foam sealer. Mine froze into the form of a putty and remains in that state..............................Response from Simply Speakers: In some cases during winter months the foam sealer may freeze if left exposed to severe cold temperatures. We have deducted this amount from your account. Please re-order once the weather warms up. Thanks! Kit arrived promptly, sooner than expected. Instructions very clear and easy to follow, especially with u tube backup. My vintage speakers now work perfectly when I thought they were beyond rescue. Very happy punter!! product fit perfectly without trimming. saved a pair of my favorite old speakers. 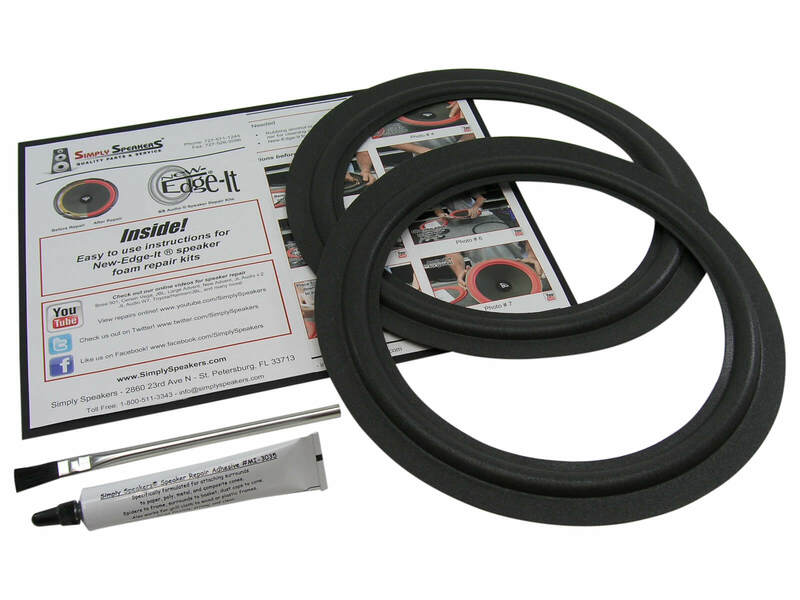 Shipped fast, great fit, easy to install. Q: Will these work on Performance Series Model 5? A: Yes, this is the correct kit for the woofers in your ESS model. We also sell the passive radiators (if needed). Please see our ESS parts page for details. ESS: AMT-1 Tower, AMT 1 Tower, AMT Tower, AMT3, AMT-3, ROCK MONITOR, AMT-4, AMT 4, D-2, D2, ESM-4, ESM4, Evaluator, HD-12, Fortura 10, HD12, LS-5, LS5, Model 5, Eclipse M-102, Eclipse M102, PS-4, PS4, Performance PS-4A, PS4A, PS-4B, PS4B, PS-5A, PS-5C, PS5C, PS-10, PS10, Targo 412T, Tempest Lab 2, Tempest Classic, 680-0004, 680-0010, 680-1054, 680-1105, 681-1021, 680-1116, 10Z2467 and many more!